With all the video trailers, and flip-whips going down today, it may be easy to forget that it's "take a kid mountain biking day"! 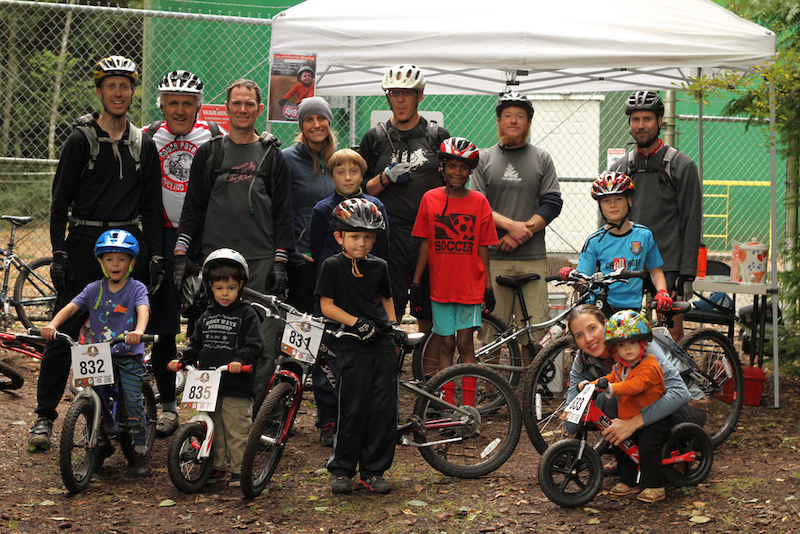 I got a friendly email from IMBA's "Fidalgo Trail Riders" (Washington State) Chapter President and good friend, Kevin Foss reminding me of a group ride for the kids just out my back yard. Anacortes Community Forest Lands, a place where I got my tech xc legs and home to my son's (age 3) first single track loops sets the location. A perfect 60 degree sunny fall day. Many kids on stryders and coaster braked bikes with number plates, all playing "drop in" on a steep sloped trail off to the side of the meeting area. FTR board members (Kevin Foss, Sky Guthrie, Keegan Janicula, Josh Gates) organized the ride and provided cookies and juice for the kids, along with awesome number plates. Just trying to get a group picture was a challenge when you have 2 to 55 year olds shredding all over the place, and discussing the pros and cons of 29 or 650b. After my 3 year old son Saywer about melted down over getting on with the ride, people started to drop in on a nice mellow decent of single track for all levels of riders. The loop easily 3 miles or better of technical roots, rocks, ups and downs, was tacky and full of recent fallen maple leaves and cedar/fir needles. The loop passes by several beaver ponds and a mountain lake. Ethan Foss, 5 comes shredding into a pump and flow section to catch a bit of air and then bomb into a steep off camber downhill with only coaster brakes. I will be honest as a father myself, I was worried about his speed with the old technology bike. However his father FTR president Kevin, was not concerned as he knows his sons ability. Kevin and Ethan are often spotted doing laps from the water tower down to a lower road and pedaling back up the pavement for multiple laps in an afternoon. Sawyer McCoy is no stranger to large cedar trees, he was born in these woods. Anacortes Community Forest Lands over 2800 acres of preserved forest set aside for hikers, bikers, horses, and seasonal to small 4 stroke dirt bikes, boasts over 50 miles of prime world class Northwest single track through old forests, and around mountains, lakes, and beaver ponds. Lucky us! 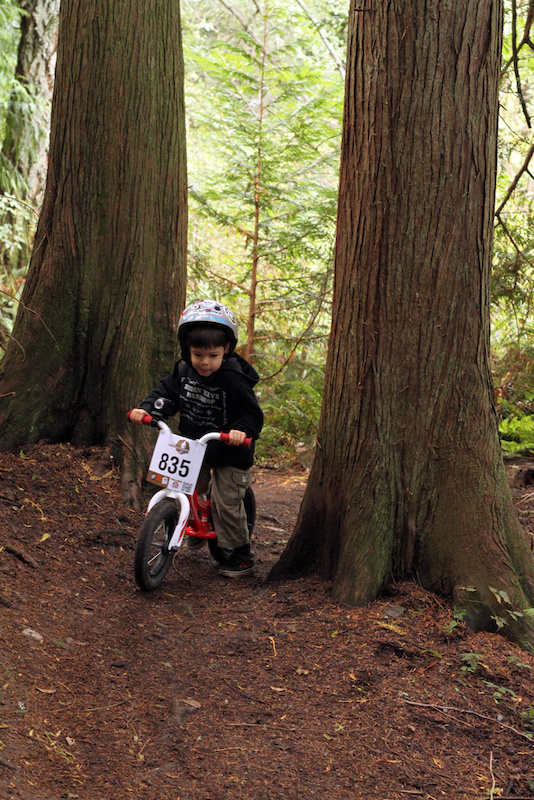 Closing in on a Tech tree/root section, Sawyer executes this line with focus and confidence. Sawyer still trying to catch up with "Big Ed" whose riding "Wagon Wheels". This particular tree root is actually a tree growing straight out of the trail over a beaver pond. I have personally hopped or climbed over this tree for most of my life since the early 90s. Hasn't changed a bit. Great day for a loop at any age or pace. This community continuing to keep the next generation riding and enjoying these trails is a big as any flip whip I have ever seen. 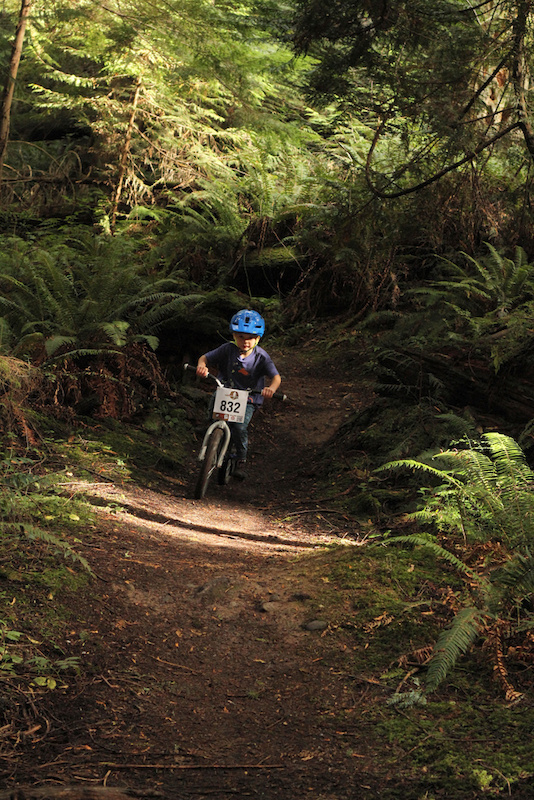 Get the kids out of the house and shred some laps on "take a kid mountain biking day". 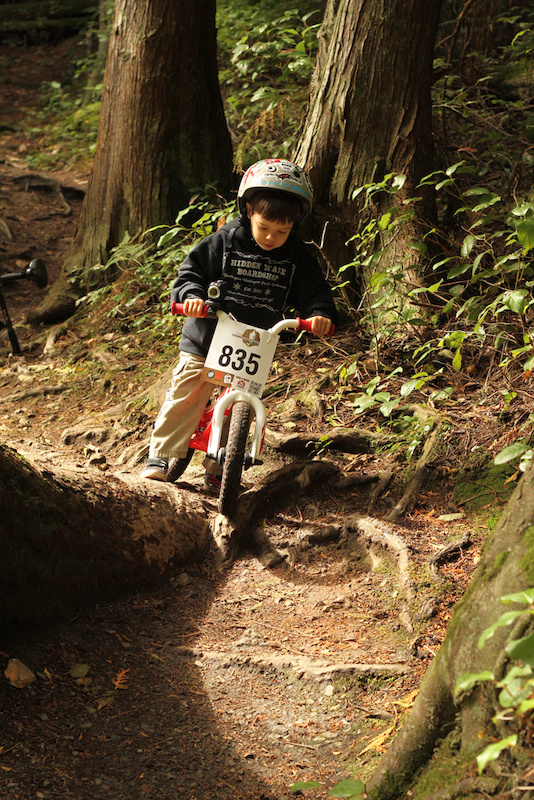 And remember IMBA who helps keep the future trails growing along with future riders.